Coming from the days of Purim, we turn our attention to the preparations for Pesach; especially when it is already after Shabbos Mevorchim Chodesh Nissan, Shabbos Parshas HaChodesh, and one begins to feel the presence and influence of the spirit of the Korban Pesach and Yetzias Mitzrayim, about which we read in the special Torah portion this Shabbos. It has often been emphasized that a remembrance in Torah, as in Jewish life in general, is not meant for the purpose of merely recalling an important event, and the like; but the real purpose of it is to learn from the event that happened in the past—to learn, especially, specific practical lessons for today and tomorrow. In this respect, too, there are points of instruction that are common to Pesach and Purim, and one of these will be spotlighted here. The Mitzva of Korban Pesach required that every man individually take a lamb (or kid) for an offering, for himself and his household. In complying with this Mitzva, each person, each family, each chavurah (group) acted as separate entities, distinct from the whole Jewish people—each a world in itself. But at the same time they were all unified within “the whole congregation of Israel” which had received the same Divine commandment, to carry out the same Mitzva, at the same time, in the same manner, as emphasized again: “The whole assembly of the congregation of Israel,” all unified in the performance of a Mitzva that is connected with Yetzias Mitzraim—the Geulo from the first Golus, when all Jews came out of the Golus together as one nation, and came out triumphantly;—the first Geulo which is also the harbinger of the ultimate and complete Geulo, the Geulo from the present and last Golus. In the Torah itself—the Torah which is “our life and the length of our days”—the point that has been brought out above is emphasized most conspicuously: A Sefer Torah (scroll) is composed of hundreds of thousands of separate letters, each set apart from the other letters, but this is the way they constitute one Torah; and this one Torah is kosher and complete only then, when not a single letter is missing from it. In other words, on one single letter, any letter, the completeness of the whole Torah depends. Every Jew is a complete world in himself, and has a G‑d given task from the Creator-of-man; a task that has to be carried out in the fullest measure according to the capacities that have been given him. This task has to be carried out by each person himself, individually, without relying on someone else, or on Klal Yisrael, to carry out his task for him. In a deeper sense, moreover, it is a one people that is composed of all generations of Jews, from the time of Mattan Torah to the end of time. It is clear, therefore, that everyone’s task is an integral part of the whole community of Israel; and the good of the Klal outweighs personal considerations and personal interests. It also follows that when a Jew acts for the benefit of the Klal, for the good of the one people that embraces all generations, he draws strength from the inexhaustible wellspring of the eternal people, and he is bound to succeed in this effort, and thereby also in all in his personal affairs, both material and spiritual. 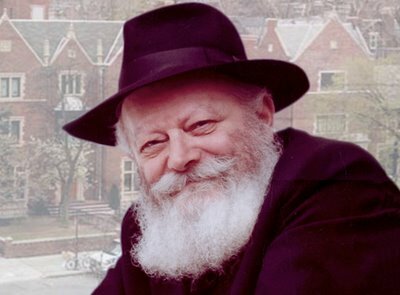 And the good works of every Jew individually, and of all Jews collectively, are assembled and unified, and being thus “all of us like one” brings the fulfillment of “Bless us, our Father, with the light of Your Countenance,” and the ultimate realization of “Hashem Elokim Tzvo’os, return us, enlighten Your Countenance and we shall be delivered”—with the true and complete Geulo through Mashiach Tzidkeinu, very soon in our days.